You gotta keep your mobile devices alive during the work day and why not do so in style? With the High Tech Wireless Charging Binder, you can make sure your mobile devices stay alive and you keep your professional cool look. This binder is one stop shopping for all your charging needs. 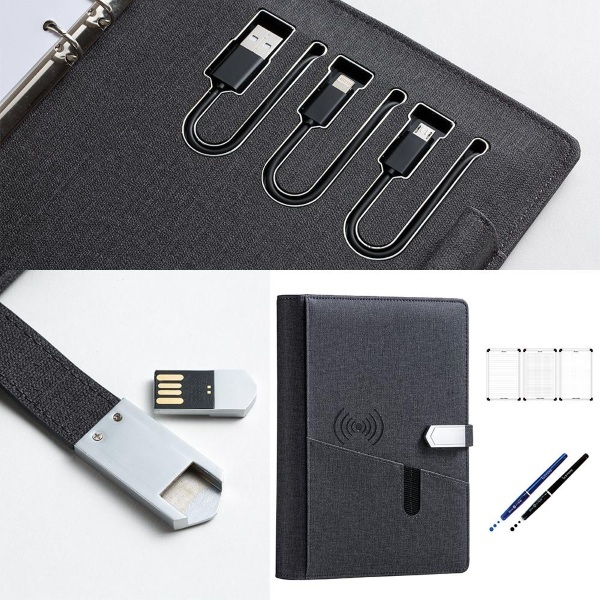 It has cables built in for iOS and Android devices and the binder itself is actually a backup batter. If you think wires are a drag because it’s 2018 and we live in the future now, then it can also be used to wirelessly charge your devices. Awesome. Aside from that, it acts as a normal business binder with a weekly planner and a place to put your pens. High tech functionality with classic looks and use. If you want to look professional and keep your phone alive during the long work day, you can get one of these for $99.99.